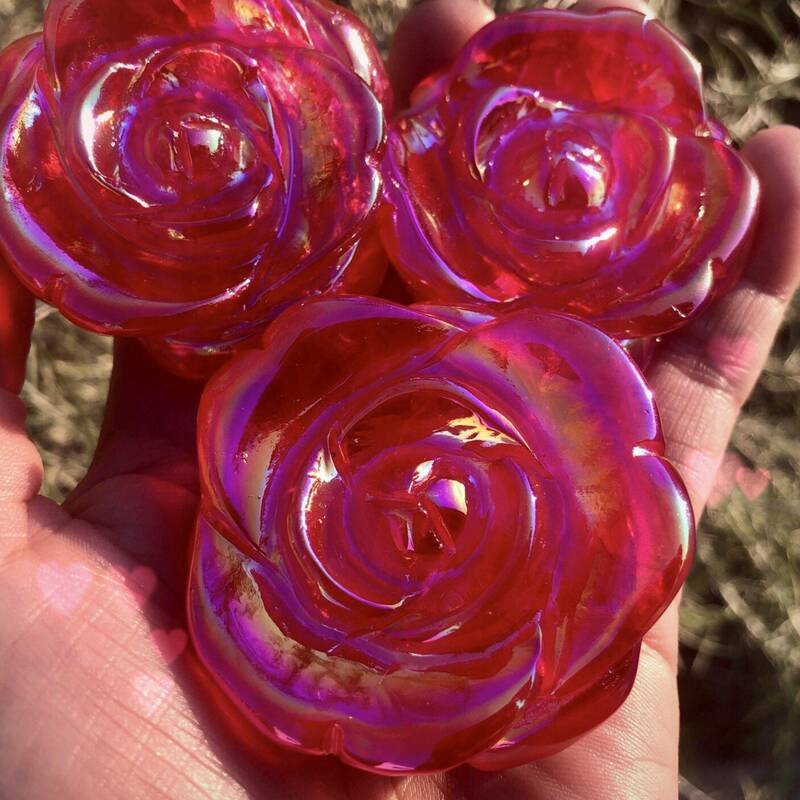 Nothing says “I love you” quite like these Red Aura Rose Quartz Roses. 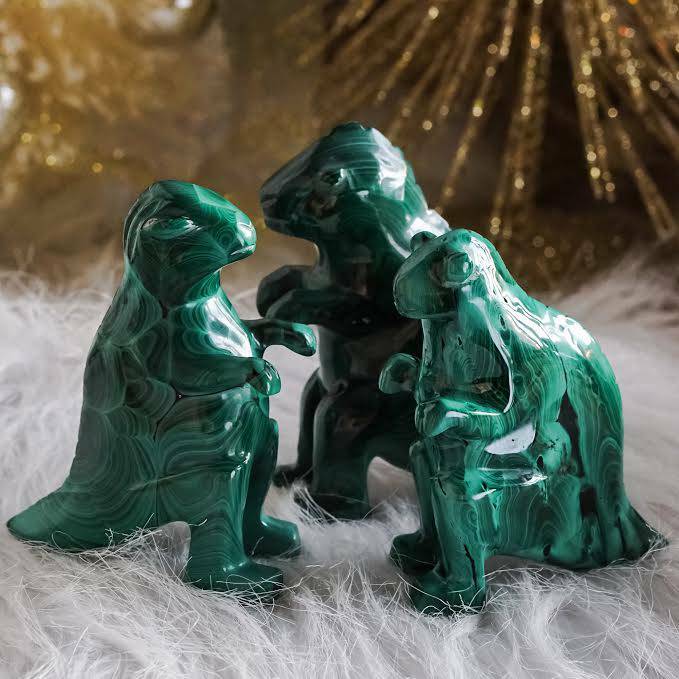 I discovered these custom-carved beauties at the Tucson Gem Show, and they’re radiating with the magic of romance, heart-healing, affection, and connection. Give one (or a whole bouquet!) to yourself or your beloved; use one in meditation, or simply carry one throughout the day. With these tender gems, the possibilities are endless! The rose is the ultimate emblem of love. It’s associated with Roman goddess Venus and was referred to as the Queen of the Flowers by Greek poet Sappho. 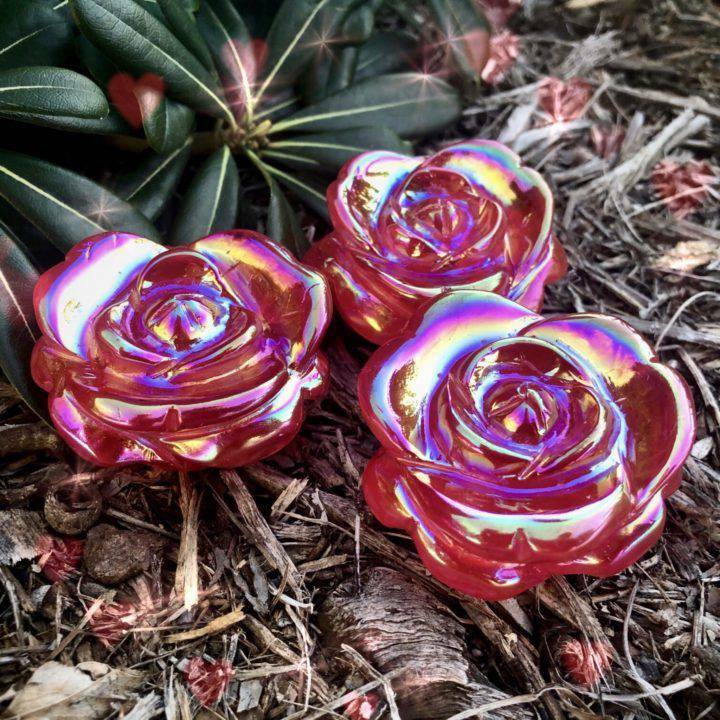 This flower is known to bring forth happiness, heart-healing, romance, luck, and the manifestation of your deepest dreams. Rose quartz is the stone of universal love – the kind of love that starts within the self and extends outward toward all of creation. This sweet crystal opens the heart space, soothes the spirit, and brings energies of serenity, compassion, forgiveness, and peace. Whether you’re healing from heartbreak or simply wish to call more soul connections into your life, this is a wonderful gem to work with. 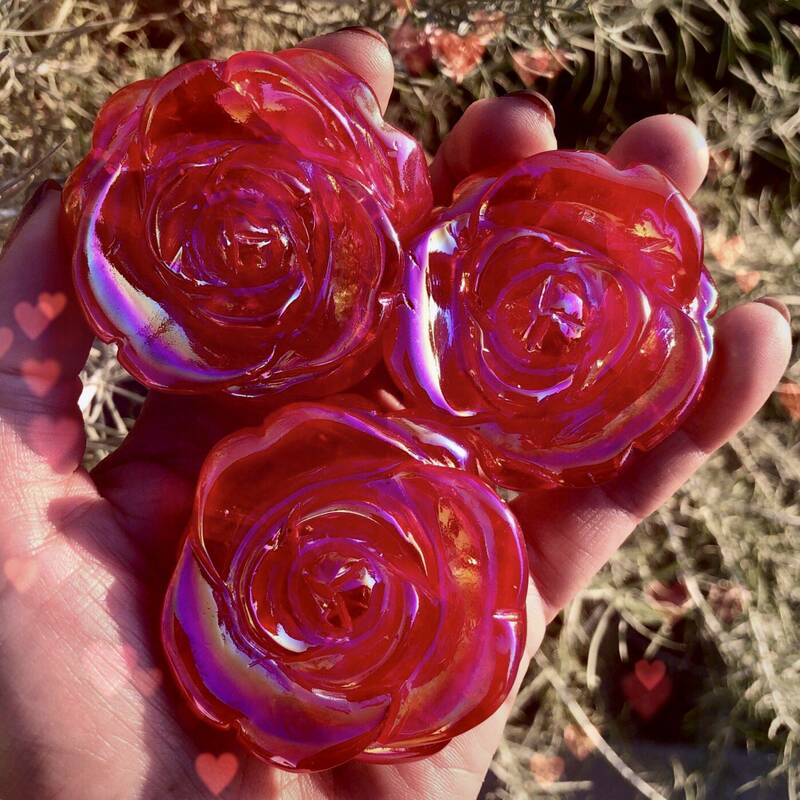 These rose quartz roses feature a gorgeous red aura treatment, granting them power over the Root Chakra – your center of stability, safety, and Earth connection. 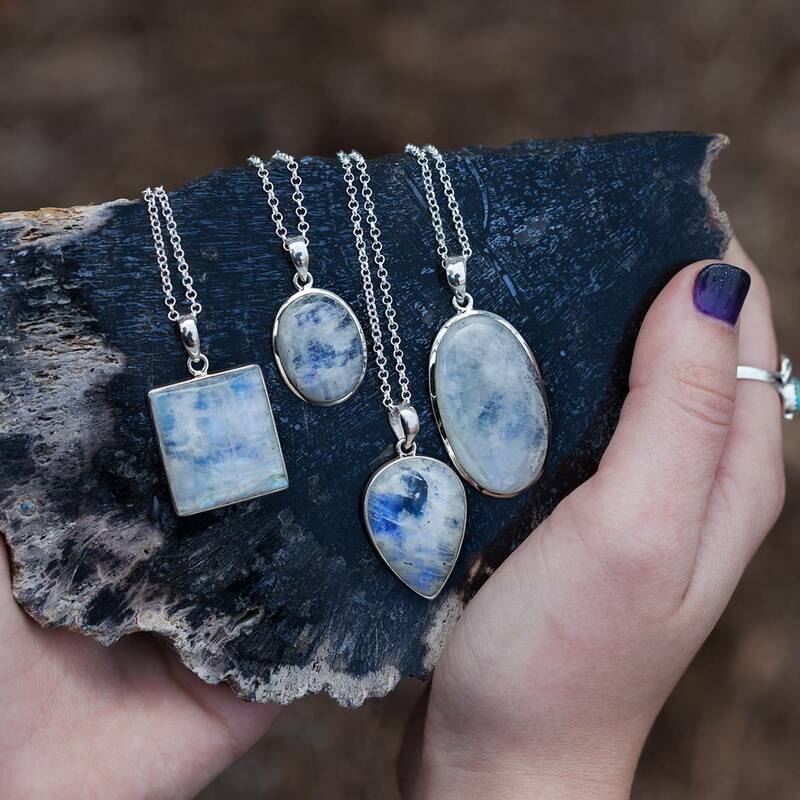 These gems will help you ground your feelings of love and passion. Work with them to bring feelings of security and belonging to your life and relationships. 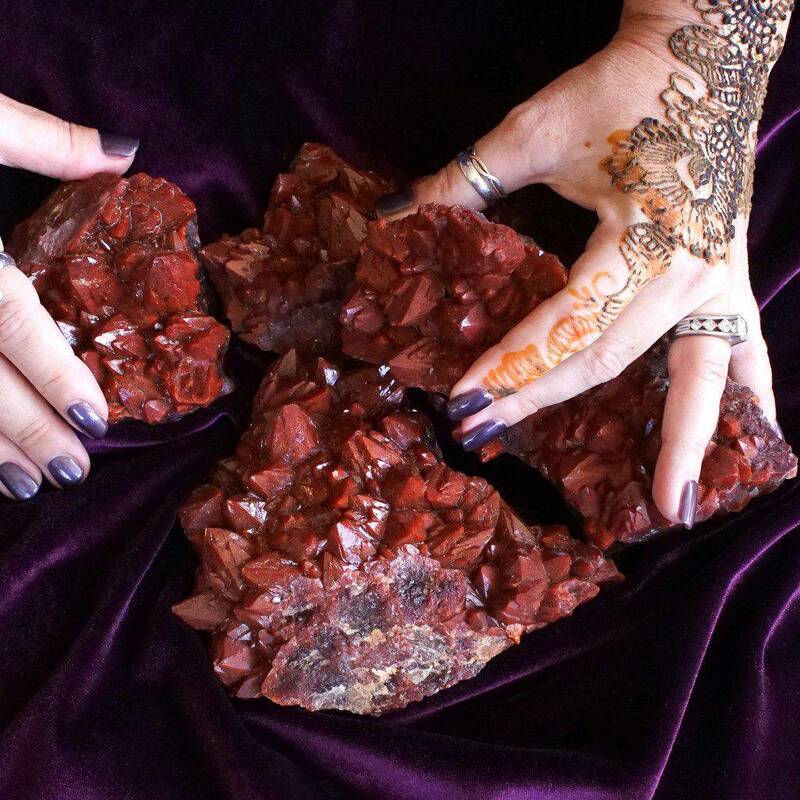 Enjoy this stunning offering, straight from the Tucson Gem Show! 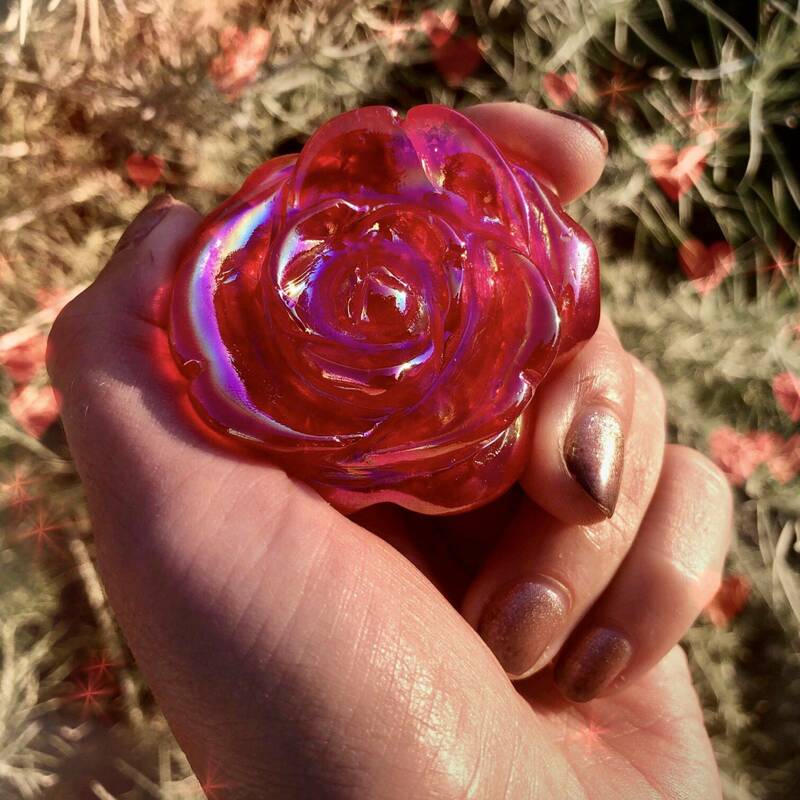 This listing is for one (1) Red Aura Rose Quartz Rose (about 2”). Yours will arrive lovingly parceled along with a single leaf of white sage and a card describing the properties of the stone.